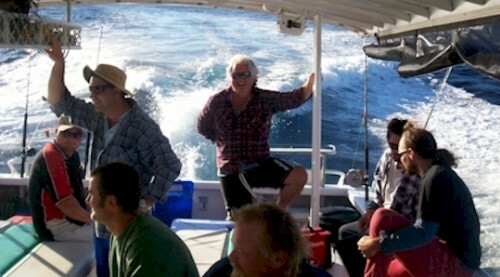 We offer online fishing charter reservations for Australia and worldwide. 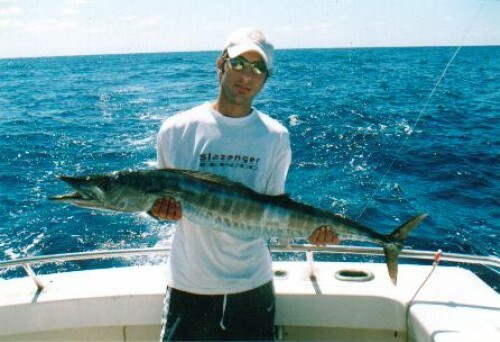 Have your fishing charter and trips listed for FREE HERE. Please contact us with any questions you might have. Thankyou for visiting. 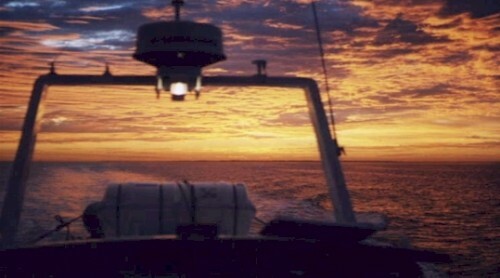 For the Deep Sea Fishing tour we leave the Dawesville channel and head out to the fishing ground. Our vessel cruises along at 18 knots to get you there quickly. We have all the latest fish finders and GPS technology so we can find the ground quickly giving you more fishing time. We also supply Alvey rods and reels, tackle bait and expert advice, but if you wish to bring your own gear you are more than welcome. Your catch is iki jimmied (spiked) tagged and put on ice ready for you to take home. Our boat is surveyed for 20 passengers offshore but we only fish a max of 14 passengers which gives you more room and comfort and much better service. We encounter many varieties of fish on the ground that we fish, most of which are good eating fish. The Western Australian Dhufish is regarded as the prize fish of the area and grows in excess of 25kg – it is a great eating fish. Other species we are likely to encounter are Pink Snapper, Red Snapper, Queen Snapper, Baldchin Groper, Harlequin Fish, Break Sea Cod and King George Whiting just to name a few. Due to our large selection of fish species, you have a good chance of taking home a quality fish for dinner. On our Deep Sea Fishing excursions we drift with the breeze so as to cover a lot of ground to maximise our chances of getting a good range of quality fish. We provide you with a light BBQ lunch and cool drinks. For those who are interested, please ask our skipper about jigging for Samson fish. Our Skipper has been involved with jigging for quite some time and is skilled in the correct techniques required for catching and handling these superb fish. Jigging is not confined to Samson fish as we have jigged on days out deep sea fishing and successfully landed Skipjack Trevally, Pink Snapper, Tuna and Kingfish. We also cater for Game Fishing at the Fish Aggregation Devices (FADs) during the summer months. Group bookings are also possible as are crusies and dive trips. High Calibre Charters is Mandurah’s newest Charter Boat Company and the perfect charter vessel for Mandurah waters. The 44 foot stable vessel has a walk around cab so you can fish on the bow at deck level and be close to the action. High Calibre Charters caters for fishing trips, corporate functions, party cruises and dive charters or just cruising the Peel and Harvey inlets, or the Murray River and Mandurah’s famous canals. High Calibre Charters’ highly experienced crew and her skipper Trevor, who has been in the charter industry for 12 years, will ensure a great day out is enjoyed by all. Having worked with other charter companies Trevor has accumulated a wealth of experience and has put all the good points he has seen into High Calibre Charters to make it a business based on expertise and great service. At High Calibre we also cater for cruise and dive charters, just ask us and we can design a custom tour to meet your needs. What to bring: This section has not been completed yet. What is included: This section has not been completed yet. Copyright © 2016 Fishing Trips. All Rights Reserved.